In November 2016, the Fluoride Action Network (FAN) together with a coalition of organizations and private citizens, including Food & Water Watch, American Academy of Environmental Medicine, International Academy of Oral Medicine & Toxicology, and Moms Against Fluoridation, presented a petition1 to the U.S. Environmental Protection Agency (EPA) calling on the agency to exercise its authority to prohibit the addition of fluoridation chemicals to the public’s drinking water supplies under Section 21 of the Toxic Substances Control Act (TSCA). FAN’s petition was made on the grounds that a large body of animal, cellular and human research shows that fluoride is neurotoxic at doses within the range now seen in fluoridated communities, and included over 2,500 pages of scientific documentation detailing these health risks. The Toxic Substances Control Act (TSCA) allows individuals to petition the EPA to regulate and prohibit the “particular use“ of a chemical if the petitioner can show that it presents an unreasonable risk to the general public or susceptible subpopulations. 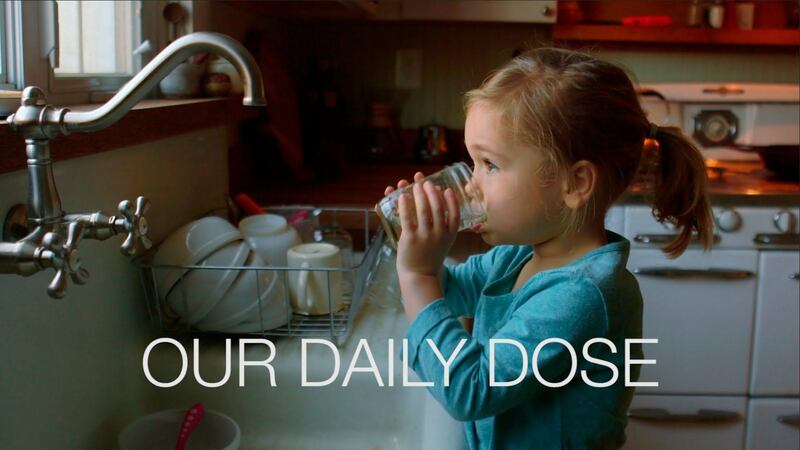 TSCA specifically gives the EPA the authority to prohibit drinking water additives. However, in an attempt to put up an unreasonable roadblock the EPA dismissed our petition based on a questionable interpretation of Congress’s recent amendments to TSCA. In response, FAN and our coalition partners filed a lawsuit in the U.S. District Court for the Northern District of California legally challenging the EPA’s denial of our petition. It also prompted the Natural Resources Defense Council to file an amicus brief challenging EPA’s strained interpretation of the law. Since challenging the EPA in court, a lot has happened to move us closer to a successful outcome. We have won our first two battles in federal court, new government-funded research has been published which strengthens our case, and our day in court has been scheduled. The EPA’s motion to dismiss FAN’s petition was heard November 30 by federal Judge Edward M. Chen, of the Northern District Court of California in San Francisco. Our attorney, Michael Connett, argued the motion on behalf of FAN. Only days before Christmas, the judge gifted us our first legal victory. December 21, 2017, Chen denied the EPA’s motion3 to dismiss the case. This ruling was covered by Reuters and various legal and regulatory journals. The text of the TSCA, its structure, its purpose and the legislative history make clear that Congress did not intend to impose such a limitation in judicial review of Section 21 citizen petitions. The Court therefore DENIES the EPA’s motion. If you look at the legislative history, Congress wanted a robust mechanism for citizen oversight over EPA. This court’s decision highlights for environmental groups that Congress created a powerful tool. Had the EPA prevailed we would have been prohibited from including any new fluoride neurotoxicity study published after our petition was submitted in November 2016, including the landmark U.S. government-funded 12-year study7 by Bashash et al. published in September 2017. This study is critical in demonstrating that fluoride is neurotoxic and has no place in the public water supply. In this study, higher levels of maternal urinary fluoride during pregnancy (a proxy for prenatal fluoride exposure) that are in the range of levels of exposure in other general population samples of pregnant women as well as nonpregnant adults were associated with lower scores on tests of cognitive function in the offspring at 4 and 6–12 y old. Most of the Mexican women had urine fluoride between 0.5 and 1.5 mg/L. Studies have found that adults in the U.S. have between about 0.6 and 1.5 mg/L, almost exactly the same range. From the low end of that range to the high end is a difference of 1 mg/L, which is what caused the five to six IQ-point difference in the children of the study mothers. Furthermore, the study was very carefully conducted by a group of researchers who have collectively produced over 50 papers on the cognitive health of children in relationship to environmental exposures. This new study thus helps to confirm the health risks described in our petition, and will be an invaluable piece of evidence for our attorneys as they develop our case over the next year. Read the full article at Mercola.com .